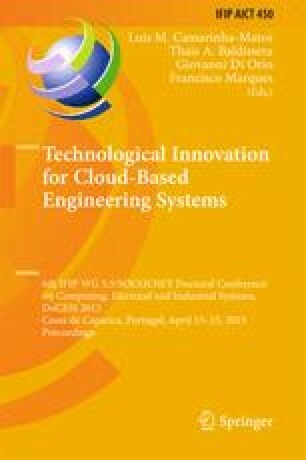 In this work, we address the target localization problem in large-scale cooperative wireless sensor networks (WSNs). Using the noisy range measurements, extracted from the received signal strength (RSS) information, we formulate the localization problem based on the maximum likelihood (ML) criterion. ML-based solutions are particularly important due to their asymptotically optimal performance, but the localization problem is highly non-convex. To overcome this difficulty, we propose a convex relaxation leading to second-order cone programming (SOCP), which can be efficiently solved by interior-point algorithms. Furthermore, we investigate the case where target nodes limit the number of cooperating nodes by selecting only those neighbors with the highest RSS measurements. This simple procedure may decrease the energy consumption of an algorithm in both communication and computation phase. Our simulation results show that the proposed approach outperforms the existing ones in terms of the estimation accuracy. Moreover, they show that the new approach does not suffer significant degradation in its performance when the number of cooperating nodes is reduced.